A mom’s view: As the nation probes the college admissions scandal, there’s a larger question beyond wealth & privilege: What price are parents willing to pay to see their children go the distance? It can start with the simplest thing. My first-grader forgot his science project … do I load it into the backseat of the SUV and take it to the school office? But it is such a difficult decision to make as a parent: When should we quietly intervene in the best interests of our children, and when should we look in the other direction and let them learn a life lesson? 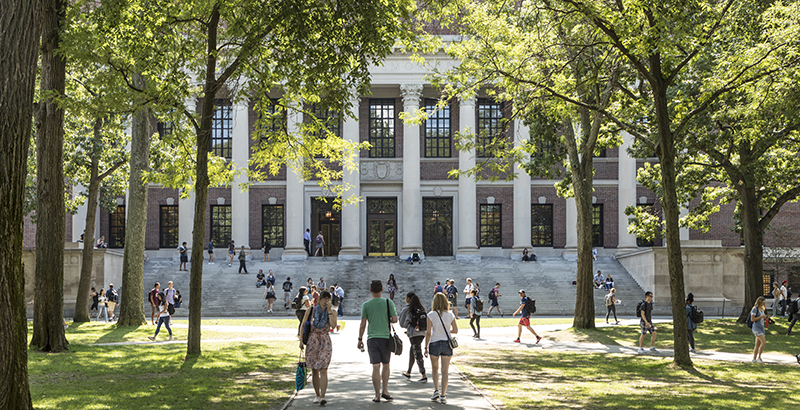 As the nation still investigates the college admissions scandal, many parents and children are left wondering just how much privilege and wealth play into acceptances at certain top-tier schools. Yet, there’s a bigger question: What price are we, as parents, willing to pay to see their children go the distance? More than 280,000 young adults will apply this year to Ivy League schools. Most of those filling out fine-tuned applications are exceptionally talented and engaged. They are class presidents with top SAT scores, participants in sports and school clubs, volunteers and social activists. Most understand, though it often goes unspoken, that the ethnicity boxes will be looked at and checked as well. The competition is fierce, to say the least. As a mother of a senior who is actively pursuing an education at one of these storied universities, I have lived with the stress and ongoing emotions for several years. My son’s checklist reads as it should. He got an almost perfect score on his SAT, is at the top of his class, is class president, is National Honor Society president and a member of the football team, and has spearheaded numerous projects that will benefit our community for many years after his graduation speech. It is very difficult to explain to your hardworking teenager that life will be filled with setbacks and rejections despite his or her valiant efforts. As my son receives two acceptance letters, there is still one notice of being waitlisted and even a “no.” But as disappointed as our kids will be when they reach into their mailboxes or open emails and come up short, we must look inside ourselves and ask, as parents: Are we more taken aback than they are? Success is defined as accomplishing an aim or a purpose. However, the path to achieving said goal also matters. Is it our own personal goal we are chasing, or is it truly what is best for our child? As the bribery scandal broke, perhaps the most surprising thing to emerge from the fallout was the feedback from students diligently studying at these amazing institutions. There did not seem to be a huge element of surprise. Some students even voiced their opinions that certain kids didn’t even want to go to the university at all, but did so to further their parents’ ambitions. Others were saddened because their hopes had been to achieve on their own merits. As difficult as it is at the time to see your baby strike out during her last at bat — or be rejected from his first pick for college — failure is nothing to be ashamed of. That same player could well pick himself up, dust herself off, and stand straight and tall next time, having learned a huge lesson in resilience. Being an involved and loving parent is a blessing that our children will remember for the rest of their lives. There is nothing wrong with signing up our toddlers for kinder music, swimming lessons and YMCA sports. We will be the first one there to cheer them on, clap as they win a perfect attendance award and hand out snacks. We will also extend our arms for a much-needed hug when their team loses, dialing for double pepperoni to help ease the pain. We can use the lesson of the cheating scandal to help keep us in check. We all will continually strive for happiness for our children, but try finding it through living a healthy, fulfilling life — warts and all. As much as we may want to protect our children as they grow up and head out on their own, the best gift of all is to be present and help prepare them for life, and give them lots of love. M.L. Rosynek is the news director of JAM Broadcasting in Kerrville, Texas, and the single mother of three teenage boys. Her first book, Crossed Up, is available now on Amazon.